Helmsdale Harbour: Helmsdale was developed in 1818 as a fishing village, largely herring fishing, as like many other villages in the Highlands around that time. 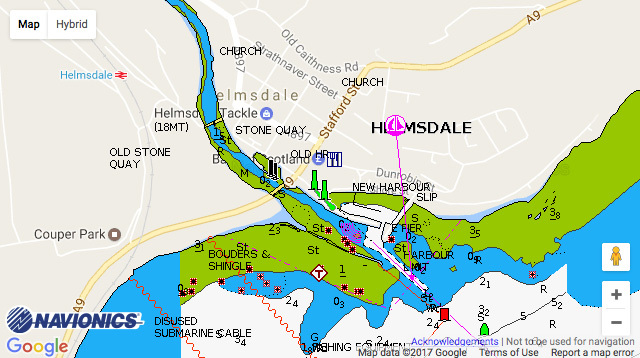 Today, the harbour is a prominent feature of Helmsdale village and there are a number of fishing vessels based there which gives it a sense of a working harbour. A quiet, rural village, a nice place for yachtsmen to visit.